Lush lavender foulard print women’s silk twill boxer shorts by Royal Silk®. You’ll find pure silk to be smoother, softer, silkier than any other fabric. Try this wondrous pair of violet silk boxers and find out why the touch, feel, and caress of pure silk is so heavenly. Find out what you are missing, and when you do, you’ll be want silk forever. In waist sizes XS (25-27"), S (28-30"), M (31-33"), L (34-36"), XL (37-39"), and XXL (40-42"). 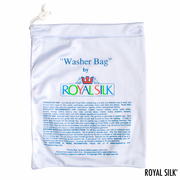 Pure silk twill is easy to wash and care for. We’ll tell you how. 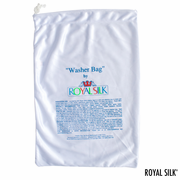 Or machine wash with our small washer bag for silks, purchased separately. 100% Silk. Imported. Affordably priced.